The multifunctional digital steam sterilizer for baby bottles “Pure“ is with big capacity (up to 6 every size feeding bottles), Effective sterilization, light indicators for the different processes, LCD display, simultaneous sterilization of bottles and small accessories, and option for steam cooking. The product is with a transparent lid with handgrip for bigger comfort, allowing observing the process of sterilizing / steaming cooking. 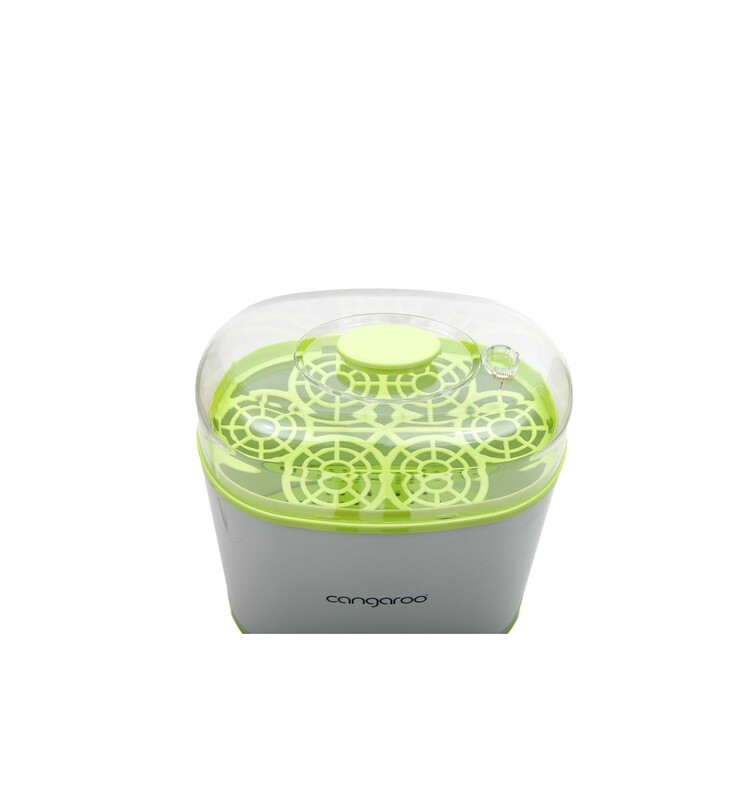 The elegant design of the sterilizer takes less space in your kitchen. 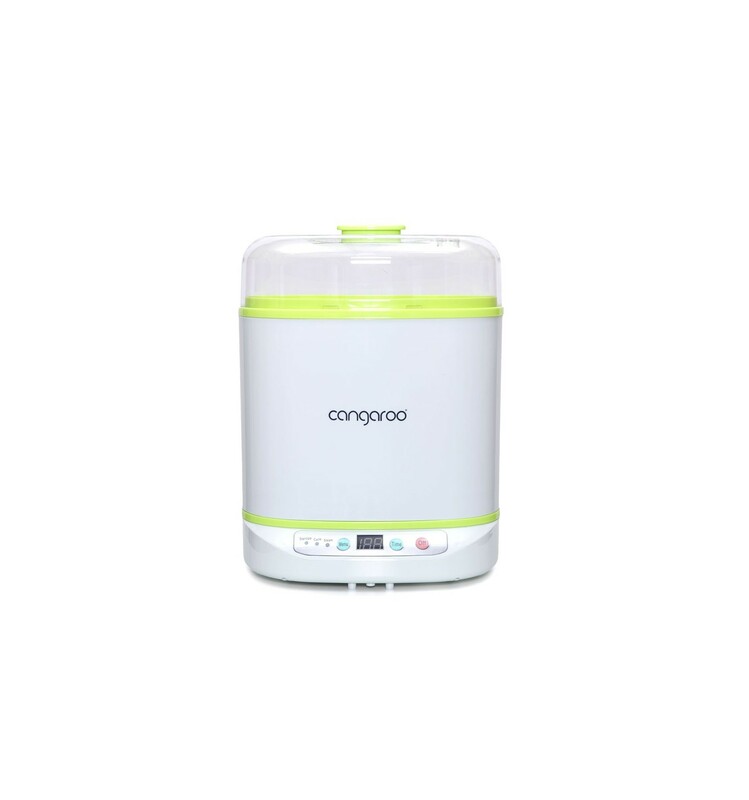 With it you can keep the its contents sterile up to 24 hours by automatically sterilizing every 6/ 12 hours depending on your preferences. In the set are included measuring cup and accessories grid. 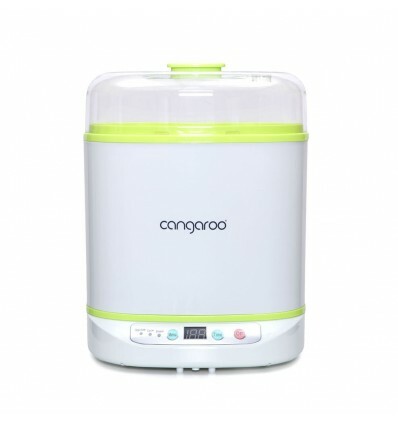 The product is equiped with Menu button for adjusting the different functions, TIMER button for adjust the time of sterilization/ steam cooking and OFF button.